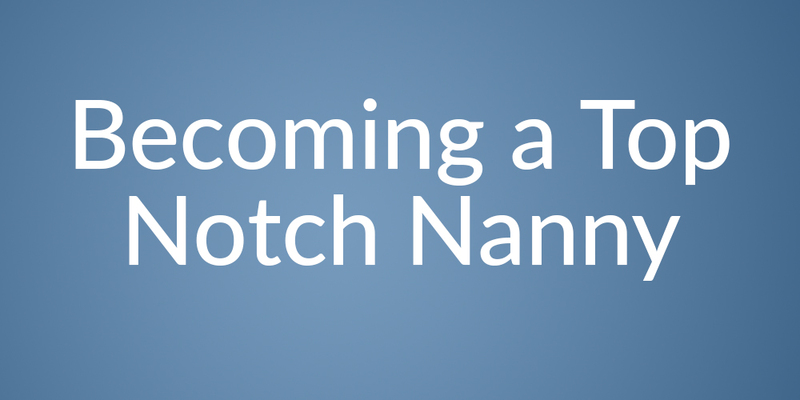 The following is a guest post from professional Nanny, Cate Matijevich. The views in this article are her's alone. In our industry, compensation packages vary significantly by area. In all markets, career nannies strive to be at the top of their field in pay and other forms of compensation, some even consider relocating when they outgrow the ability of their market to meet their value. How do these professionals reach the top of their market, and what makes these top-notch nannies so desirable? Below are a few highlights from my “little gold book”, so called because the tips are worth their weight in gold, and calling it anything else just wouldn’t do it justice. Little Gold Book-Chapter One; Put Yourself in Front of Quality Agencies. You can do this by hitting the pavement in your own market, familiarize yourself with local groups and attend gatherings hosted by agencies, such as “nanny get-togethers” or holiday gatherings. For a more concentrated approach, consider attending an industry conference. The International Nanny Association (INA) has an annual conference in the first half of every year, and the Domestic Estate Management Association (DEMA) has a convention in the last half of every year. These large industry events provide the opportunity to present yourself, and your portfolio, to some of the most highly respected agencies not only in the United States, but in the world. This exposure will help you master the balance of leaving a lasting impression, while still maintaining a professional profile. The most critical thing to remember is that as soon as you walk into a professional conference, the interview has begun. As they say, you never get a second chance to make a first impression. Your attire, how you carry yourself, the words you choose, and the beverages you consume, will contribute to the agencies’ general impression of you, so be conscious of your efforts. Be the diamond they are looking for, authentic, transparent and unique. A great agency can be an important employment resource. Build strong relationships by presenting yourself wisely, communicating clearly, and following up in a professional and timely manner after conference. Little Gold Book- Chapter Two; Standing Out in an Interview. The approach to acing an interview can be as varied as the individuals applying and the clients hiring. All successful interviews however, have three things in common; preparation, confidence, and punctuality. Know your audience, although you will inevitably deliver the same information to each client, a slightly varied approach taking the specific client and position into consideration will pay in spades. Review your skills, your collection of accolades, your education and experience, and be able to highlight the importance of each as it pertains to this family. With all you have to share, be sure to remember, there is a time for speaking and a time for listening. Letting the client speak at their leisure, is a key component to good communication. It is also your first chance to determine if this is the right job for you, and how you can present yourself to ace the interview. Little Gold Book-Chapter three; Education, Honing Your Craft Before and After Hire. The topic of education vs. experience is a hotly debated one, and as old as time itself. So prominent is this conversation in all industries that it is often referred to as “The Great Debate”. What is most appealing to a client? Is it a Bachelor’s Degree? Does the degree have to be in an applicable field of study? Is it twenty years of hands-on experience? The one thing I am sure of is that education is never a bad thing. Clients want to know that you see yourself as a professional, and invest not only in yourself but also in their family, by keeping up with current trends and knowledge. For example, several years ago, I became a trained NCS through a well-known company. Several years later, it was brought to my attention that a newborn would be arriving in my professional roll. Immediately, I utilized my resources through both INA and DEMA, and enrolled in another newborn care course through a different company. Why, you ask? It’s simple; I not only needed to refresh my brain in preparation for the new arrival, but also knew that having that information come from a different source would strengthen my knowledge base as a whole. It is crucial to not let yourself ever believe that you have learned it all. Our industry is constantly changing, as science and time march on, illuminating all we still have to learn about fostering meaningful growth in the minds and bodies of children. Little Gold Book- Chapter four; Last, but Certainly Not Least, Professionalism. First and foremost, we must always remember, the client’s house is not our house and the client’s children are not our children. It is the nanny’s job to adjust to the family’s individual needs, keep the family’s wishes a priority, and know when it is the right time to share alternative methods. Essentially, you want to be an extension of the parents, always working on a team, even in their absence. Most clients, though they may wish to, do not have time to listen to elaborate explanations and theories on household efficiency and child rearing. They invested their time and resources initially by hiring an elite nanny they trust to implement that information within their expressed boundaries and preferences. Keep the chit-chat minimal and respect the client’s valuable time. When important topics need to be addressed, or when giving the daily briefing, hit the main points, any concerns, and make reference to a nanny log or other resource where the client can gain additional information if desired. To summarize this post about nanny advice, top notch nannies earn their worth through networking, preparation, education, and professionalism. They are discrete, confident, and mindful of their actions. Perhaps most importantly these nannies not only embody the hallmarks of the industry, but surround themselves with others that do as well. 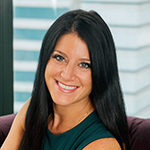 Cate Matijevich from Chicago, Illinois has been in the private service industry for over 13 years. Being a Nanny and managing principal’s homes is her passion and brings her the utmost joy in life. Cate is an avid learner, always seeking the best solutions for the children and their families. She enjoys staying current with child-rearing trends and ongoing professional development training. Cate actively participates in events that support the nanny industry, including traveling internationally for conferences and to support groups she is a member of. Her desire to strengthen and grow international nanny relationships is a proud goal. Employee files for unemployment – what does this mean?